Check out this very cool Silver Surfer page which was penciled by the great John Buscema, and inked by Jack Abel, from the story titled: "The Great Terror!" 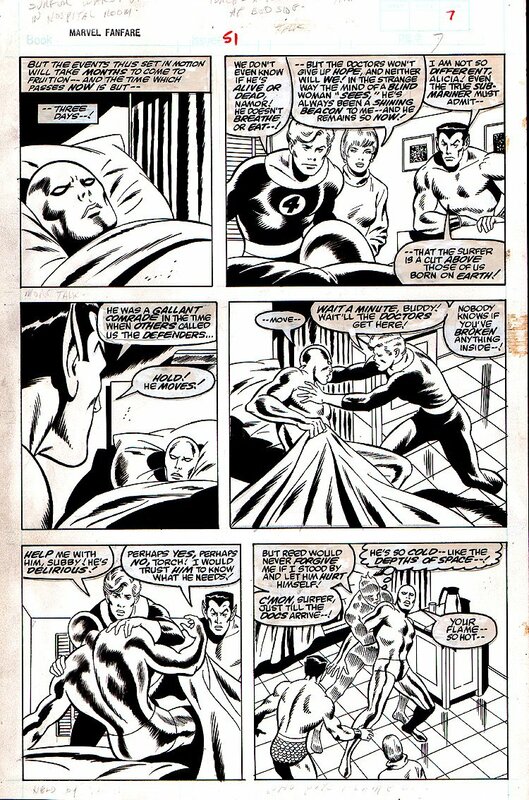 This nice page features The Silver Surfer in EVERY panel as The Fantastic Flur and Sub-Mariner try to get him to rest....to no avail! 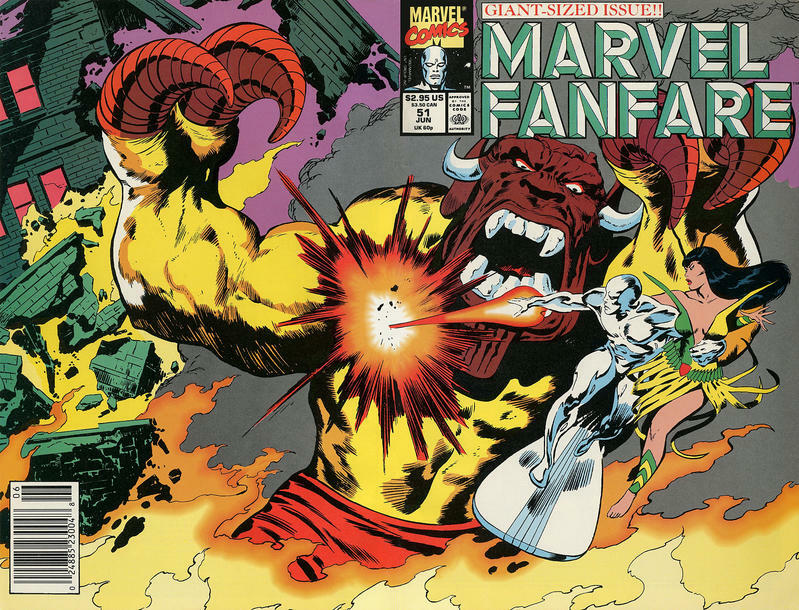 This awesome story was originally meant to be a Silver Surfer 1980's mini-series but it was abandoned and ultimately published as a filler issue in MARVEL FANFARE! Just a great opportunity to own a John Buscema drawn Silver Surfer page without paying those super high John Buscema Surfer prices!